Mountain Ash House offers the very finest in luxury self catering accommodation in North Devon. The house has recently been fully restored and refitted by award winning luxury interior designer Katharine Pooley . Her team has now created a modern and spacious base for families and groups of friends to explore Devon or simply unwind and relax within the house itself. The luxury holiday home has 4 bedrooms each with en suite bathrooms, ample dining and kitchen facilities as well as a study and beautiful outdoor space with Jacuzzi, pizza oven and barbecue. 5* self catered accommodation is assured and our teams can assist you in all aspects of your stay from recommending excursions to wonderful places to eat and drink. 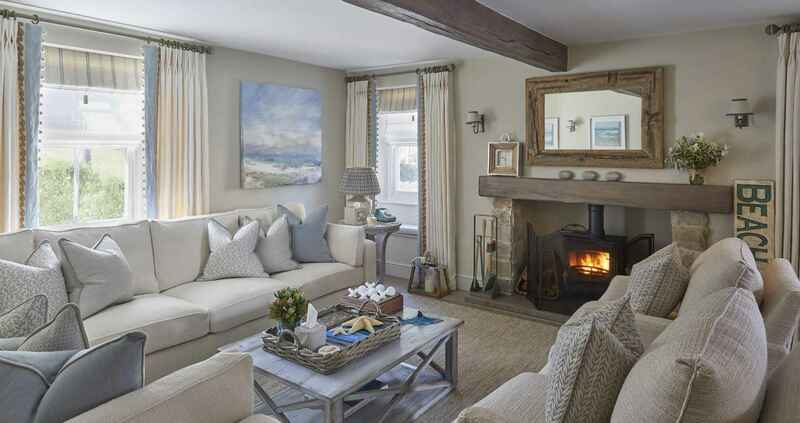 We look forward to welcoming you to Mountain Ash House where beautiful interiors match the wonderful exterior area of North Devon and allows you to retreat into a home that is set up to be your ultimate beach retreat.